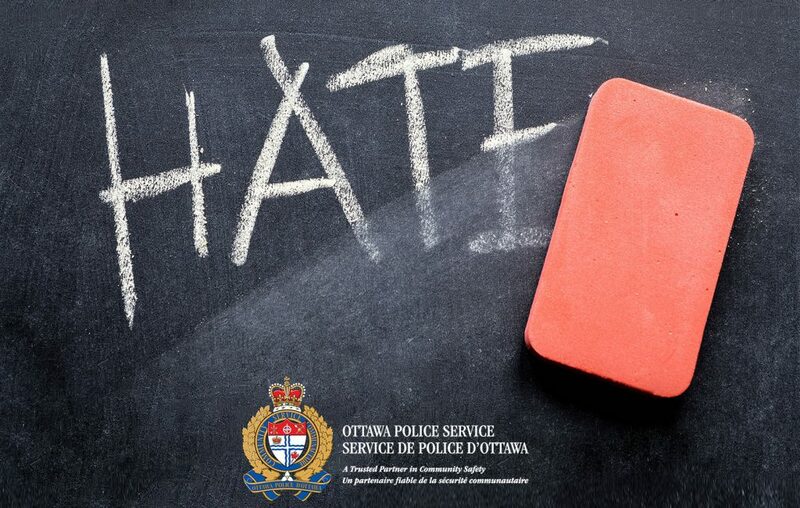 With police-reported hate crimes on the rise, the Ottawa Police Service (OPS) is trying to educate the public about this growing concern. The event takes place just before Human Rights Day on Dec. 10, and follows the release of data on hate crimes in 2017. According to a report by Statistics Canada, hate crimes nationally rose more than 47 per cent over 2016. There were 2,073 incidents reported. Almost half of this number occurred in Ontario with 1,023 reported incidents. Speakers at the Ottawa police event will include community leaders: Crown attorney Mark Moors, Featherston Public School’s vice principal Jannah Campbell, Rabbi Dr. Reuven Bulka and Marian Misdrahi, who is the partnerships and community engagement manager for the Centre for Prevention of Radicalization Leading to Violence. They will explain the impact of hate and how to identify and prevent radicalization. The keynote speaker will be former Boston, Mass., Police Commissioner William Evans. He led the police response to the bombings at the Boston Marathon in April 2013 by two radicalized brothers. The bombings killed three and injured several hundred. The forum will provide an opportunity to explore the motivations behind hate and extremism on a community level, a media release said. In the past these forums have focused on intersectionality, the science behind internal biases and reconciliation with Indigenous peoples. Topics are chosen based on their relevance to the Ottawa community’s relationship with the OPS. The event will take place on Dec. 6 at the Hellenic Meeting and Reception Centre at 1315 Prince of Wales Dr. from 8:30 a.m. to 4 p.m. with registration required.